Click the button below to add the AVENGER GIRL! Girls Gymnastics Leotard: Turquoise Mystique. FREE SHIPPING and Free Scrunchie!! to your wish list. This is her new favorite loetard! My daughter loves superheros. She has the Wonder Woman leotard as well. 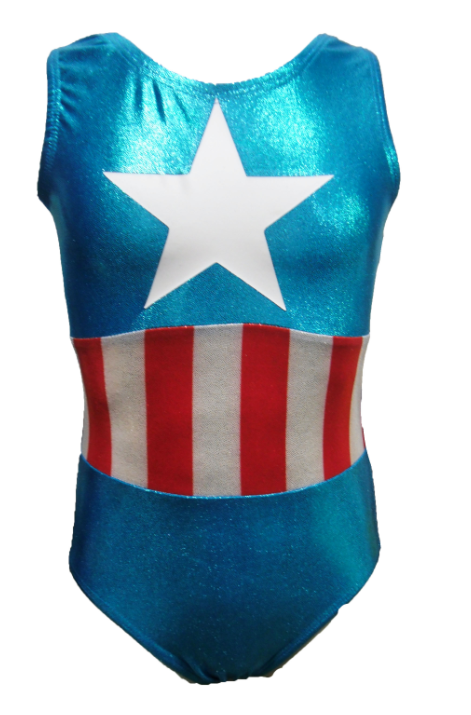 We will keep ordering from Leotards 4 Less. Next one we order will be the black and pink batgirl. Thank you for great product. Even better looking in person. My daughter loves super heros so this is perfect for her to wear to the gym. The super hero collection is our favorite. We will be ordering more. Great customer service as well.